Supporting mid-sized cities, and the people who work and live in them, to become leaders of innovative city building in Canada. 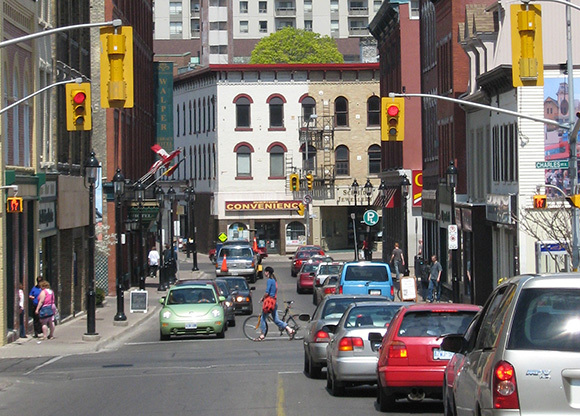 Canada’s mid-sized cities (MSCs) are at a turning point. Demographic and economic shifts have presented these communities with both opportunities and challenges. 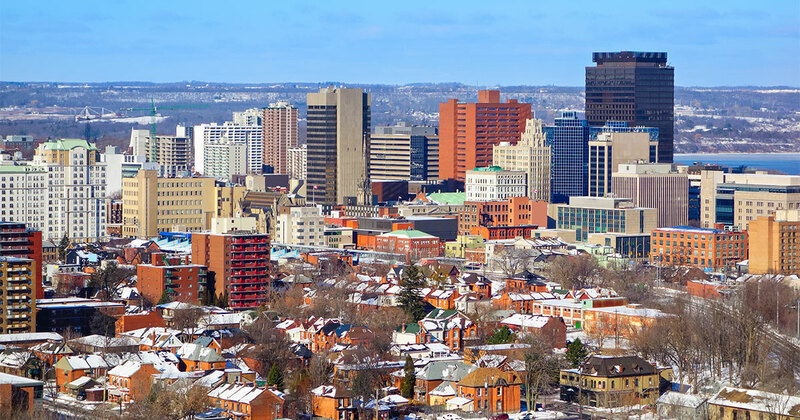 Currently home to over a third of the Canadian population, mid-sized cities are increasingly seen as a key ingredient to Canada’s future growth. Evergreen’s Mid-Sized Cities Program is an interdisciplinary initiative to help mid-sized cities thrive. By working in partnership with municipal staff, elected officials, civic leaders, residents and academics, we are providing knowledge and fostering new collaborations to ignite actions that will shape the future of our cities. Through civic engagement, research, learning and partnership development, our initiatives allow us to work with a range of city builders and stakeholders that influence the future of Canada’s cities. A new wave of nimble, inclusive and innovative civic, private and municipal leaders in mid-sized cities are trying to get this moment right. Capacity building and training, such as site visits, learning exchanges, webinars and workshops, can equip leaders with the knowledge and tools best matched for 21st century demands. In turn, these leaders are able to design and implement impactful policies and programs, empower residents and deepen relationships with unlikely partners to foster new forms of problem solving. The MSC Program hosts an annual Mid-Sized Cities Researcher + Practitioner Roundtable that brings together MSC practitioners and researchers to learn through deep-dive sessions on key topics such as data and technology, Indigenous partnership-building, and supporting newcomers, among others. The Mid-Sized Cities Learning Exchange brings together a small cohort of municipal staff and Indigenous leaders from across Canada to work on complex urban development issues by learning from one another through a six-month coaching program and a two-day site visit. The Age Friendly Working Group, in partnership with the Ontario Age-Friendly Communities Outreach Program, was designed to facilitate collaboration and learning among researchers and practitioners, focusing on specific vulnerable populations and policy issues. To more effectively empower the broader community across mid-sized cities, we launched the Civic Incubator. This initiative aims to support emerging city-builders to have a greater impact on their cities. Through a platform that provides mentorship, celebration, experimentation, networking and access to resources, the Civic Incubator enables the power and capacity of the grassroots to influence and participate in city decision-making. As the “users” of their cities, people need to be at the centre of the city-making process to ensure we create the communities that we want to live in. 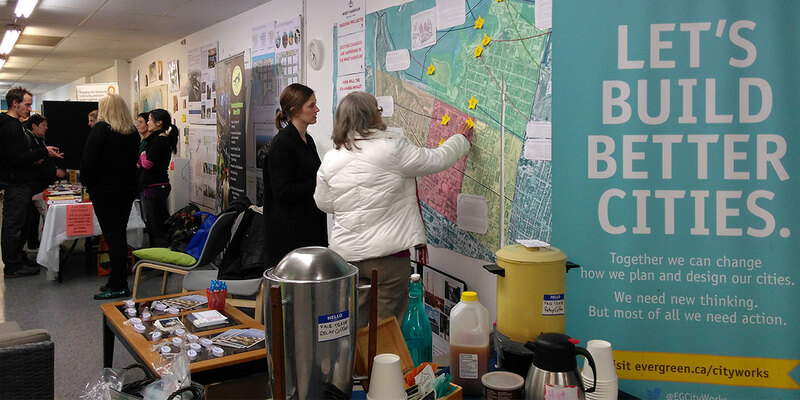 Learn more about what’s happening in Hamilton at our community storefront hub at 294 James Street North. The community storefront allows us to work with residents and local stakeholders to test new approaches to engagement and enable collaboration with city staff, community groups, residents, and local businesses. The Mid-Sized Cities Research Series supports academics so that they can adapt their research into pieces geared towards practitioners, supported with feature articles in national publications such as Municipal World. The series was created after hearing from practitioners in MSCs that most of the data, knowledge, case studies and policy analysis they had access to was geared toward large municipalities, and did not reflect the unique mid-sized context. We also co-create longer deep-dive research pieces focused on specific topic areas. Our How to Be Smart(er) in Mid-Sized Cities written in partnership with Code for Canada, analyzes the unique advantage Canada’s mid-sized cities have when it comes to integrating technology and data into their cities. Our Cities, Our Spaces report profiles four cases of adaptive reuse for community benefit in Ontario mid-sized cities. Through our deep dive research we put findings and recommendations directly into the hands of practitioners by hosting accompanying webinars, workshops, and public events. For more information about our Mid-Sized Cities Program, please contact Jo Flatt at jflatt@evergreen.ca. 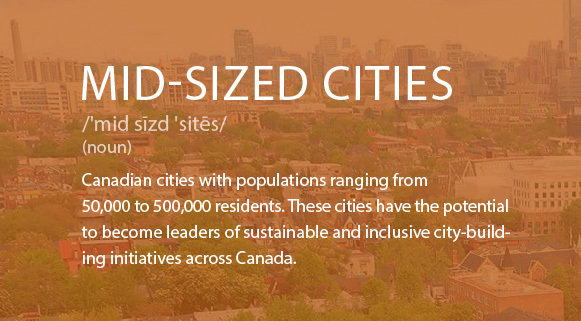 Sign up to stay informed of the latest news about our Mid-Sized Cities Program.